Elon Musk has won a high-stakes bet after the construction of the world’s largest lithium-ion battery was completed in under 100 days. The Tesla founder made a bet on Twitter with Atlassian’s Mike Cannon-Brookes in March that Musk would supply the battery within 100 days or it was free. Elon Musk will get paid for building the world’s largest lithium-ion battery in South Australia, as the 100-megawatt project is about to begin testing ahead of a December 1 deadline to complete building it or make it free. State premier Jay Weatherill announced on Thursday that regulatory testing at the site — which is paired with the French energy business Neoen’s Hornsdale wind farm, 230 kilometres north of Australia’s capital, Adelaide — would begin within days. When fully charged, the battery, Tesla’s Powerpack, is expected to hold enough power for 8,000 homes for 24 hours, or more than 30,000 houses for an hour during a blackout. The battery is the result of a Twitter bet between the Tesla founder and Atlassian’s Mike Cannon-Brookes in March that he would supply the battery within 100 days or it was free. 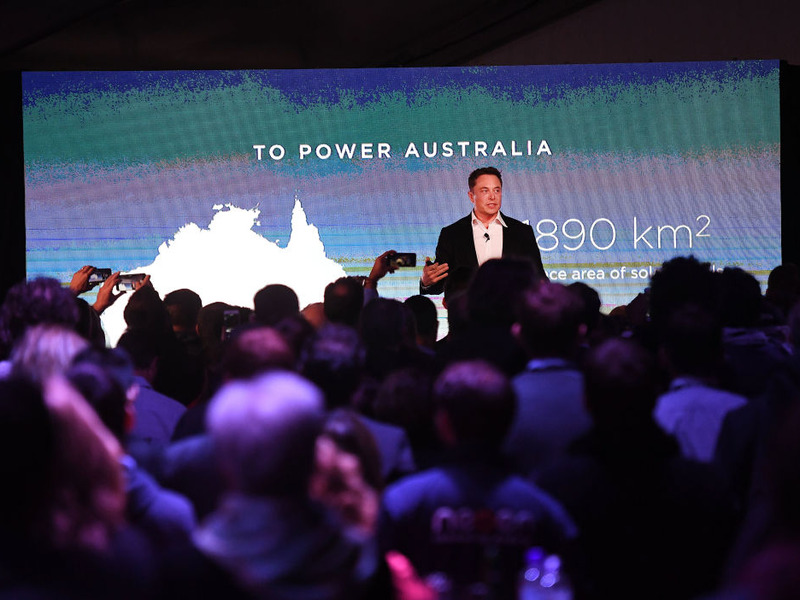 The clock began ticking when Musk visited Adelaide in September to sign off on the deal — though work was already underway on the plant after the government gave the contract to Musk in July. The Tesla plant will be called upon during periods of “load shedding,” when excess demand would otherwise result in blackouts.